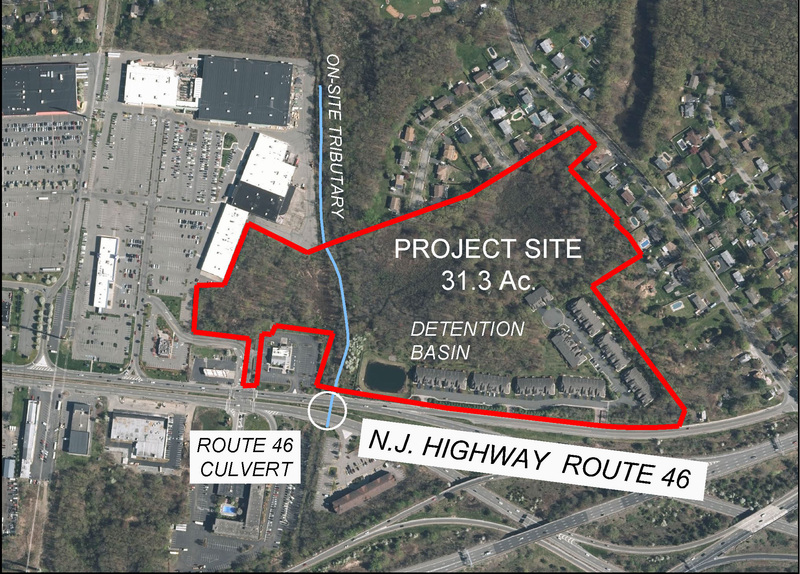 Najarian Associates was retained by Bernards Township to stabilize a severely eroded stream and to expand the stormwater collection system to alleviate flooding of the adjacent roadway and residences. 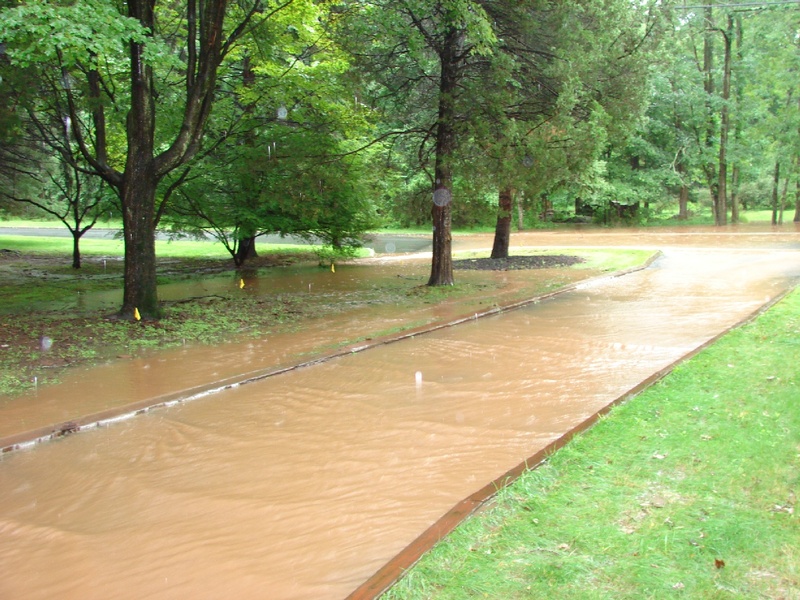 Najarian Associates was retained by Bernards Township to stabilize a severely eroded stream and to expand the stormwater collection system to alleviate flooding of the adjacent roadway and residences. The stream section is a tributary to the Harrison Brook with a drainage area of just over 50 acres. The stream was constrained by an undersized 24” conduit as it crossed under Harrison Brook Drive. 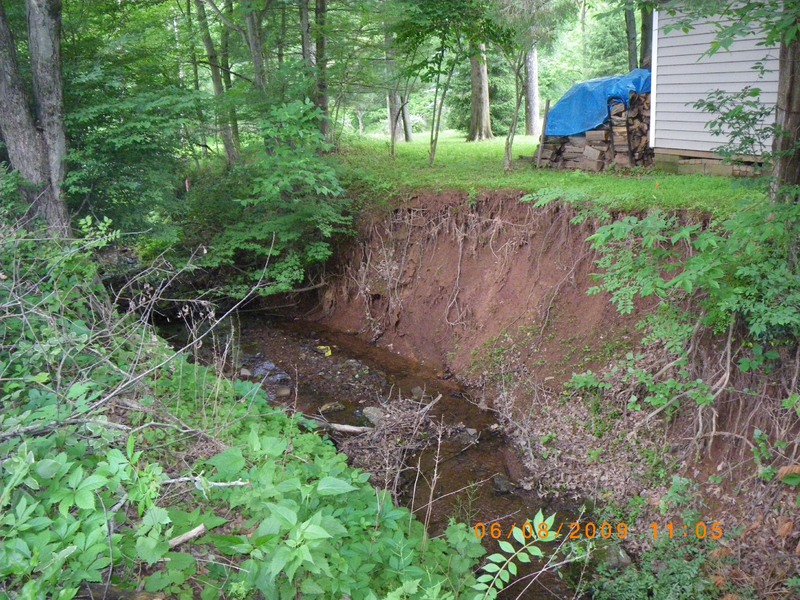 This constraint caused a backup in flow upstream and often flooded the roadway and homes, and eroded the banks downstream. The erosion of the banks threatened adjacent residences with the potential to destroy a swimming pool. Najarian Associates studied the hydrology and hydraulics of the location utilizing TR-20 and HEC computer models. The firm determined that the existing 24” conduit was grossly undersized, replaced it with a twin 48” RCP, and oversaw the re-construction of the entire project. 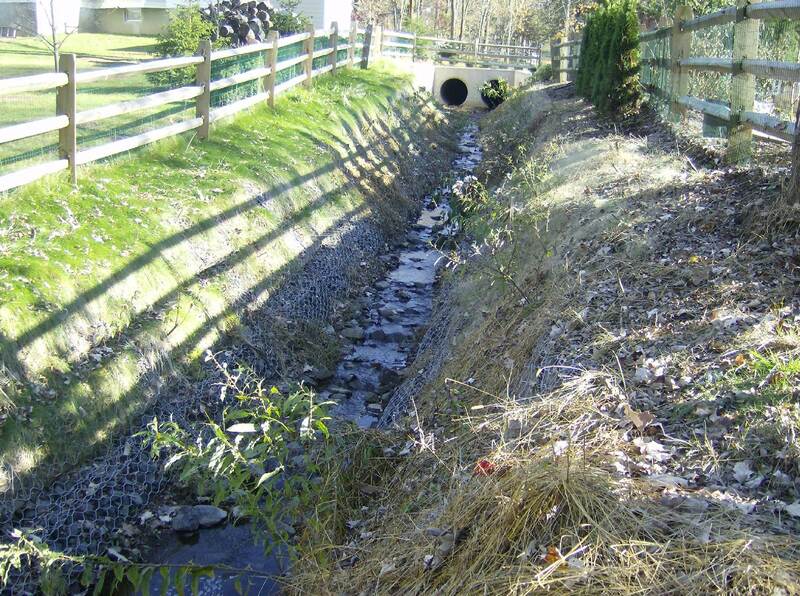 Approximately 150 linear feet of stream was stabilized using bioremediation techniques, and another 75 linear feet of stream was stabilized by natural means. Due to the large flows that are generated at this location, hard armoring consisting of large diameter stone was used to re-establish the stream invert to its pre-eroded elevation. 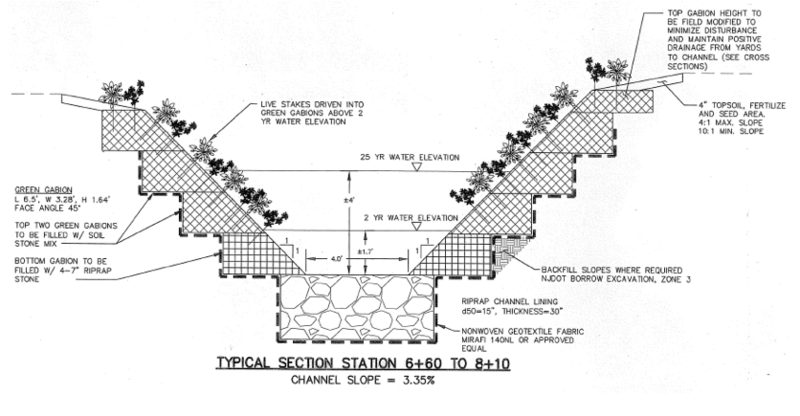 The side slopes of the stream were severely eroded to nearly vertical levels, necessitating gabion baskets filled with stone to stabilize the bottom of the bank. For the remaining stream bank, green gabion baskets consisting of a stone/soil mixture were used and planted over with live stakes. 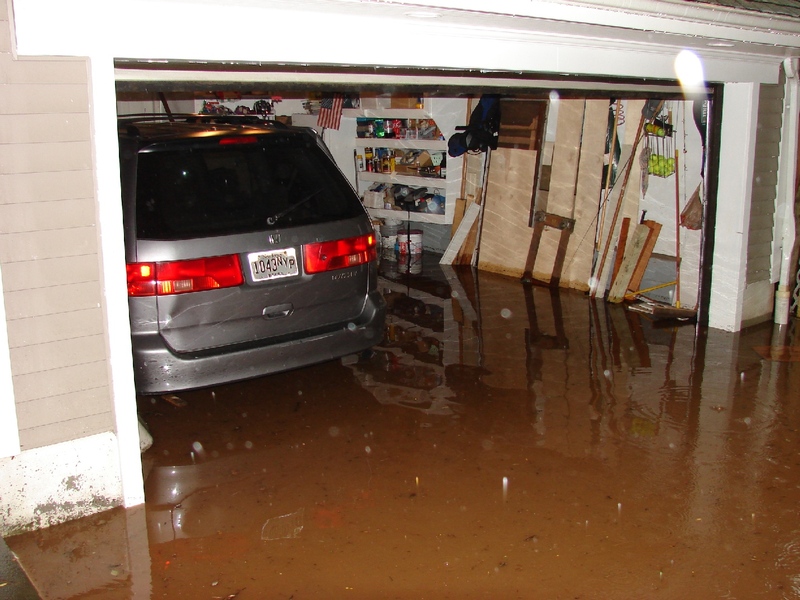 Prior to construction, Flood Hazard Area and Freshwater Wetlands Permits were obtained. The project was successfully completed resulting in the elimination of flooding and restoration of a severely eroded stream.